The Scottdale School (Early Education) - Scottdale Early Learning, Inc.
Our center-based program. 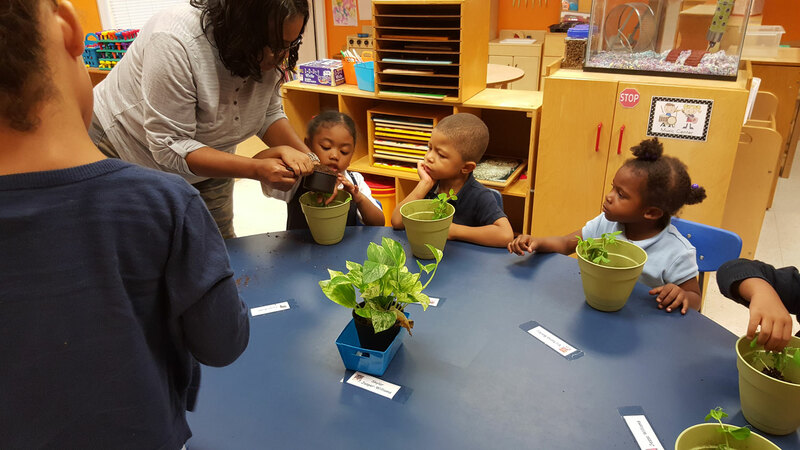 known as The Scottdale School, promotes the development of 90 children 6 weeks to 5 years through a program of active, hands-on learning appropriate to each stage of development. We use the Creative Curriculum, which encourages and supports children’s initiatives and is based on the belief that children learn by doing. Scottdale also involves parents through activities, field trips and parent education programs. We maintain low child/teacher ratios and help our teachers increase their skills through training and pursuit of additional degrees. As part of our continuing commitment to serving low-and-moderate income families, we serve 40 four-year olds through the state funded Pre-K and Head Start program. In addition, in 2015 we began offering Early Head Start for infants and toddlers.